LJN: As opposed to the singer who is manipulated and packaged by a Svengali figure. EM: Oh yes. I’m too stubborn, and too long in the tooth, to be pushed around. But I do also collaborate, and take heed of the suggestions of others. I love having the input of somebody like Liane Carroll who listens so carefully and with love. LJN: How did you come to singing, and singing jazz in particular? EM: Well, I come from a family of show-offs. My mum was brought up in Glasgow in a poor Italian community and she and her sisters were all musicians. They played the accordion and they used to busk. And, any family occasion — the accordions came out. When my siblings and I were young we all had piano lessons. I read music and I play the songs I do myself, and practice them on the piano, but I’m not a good enough piano player to perform. I also play the accordion and I have the very accordion of my mum’s that she played in my brother Anthony’s film the English Patient. I’m not good enough to perform on that either! As a kid I was encouraged to do everything, music, drama and all of the arts, and just get on with it. My parents ran an Italian café and we were left to our own devices, but encouraged. My older brother Ant was very central in encouraging in me. He made a film called The Talented Mr Ripley with a massively brilliant jazz soundtrack and I went to Rome when he was making it and I just got really into it. Guy Barker was involved and played on the soundtrack and after the film he came down to the Isle of Wight with his quintet, straight from Ronnie Scott’s, for a family do of ours — our parents’ golden wedding anniversary. And he said, do you fancy doing some songs? And, like I said, we’re a family of show offs and we all had a good old go. And I enjoyed it so much I thought, why am I not doing this? So I blame Guy Barker. LJN: How did it develop from there? EM: Guy was lovely and encouraging and sweet, but I thought, I can’t just go out there and do this; I have to practise. I started listening more carefully — to singers like Billie Holiday, Carmen McRae, Sarah Vaughan, Ella Fitzgerald. And to more contemporary ones like Claire Martin, Liane Carroll. Betty Carter absolutely mesmerised me. And of course Nina Simone, I went to one of her last British gigs, in Manchester. Then I had some lessons, and after a few years I went to one of the Global Music Foundation's workshops at Certaldo in Tuscany and that sealed the deal. There I learned with Tina May and Deborah Brown — really interesting people. I got to sing with Nikki Iles on piano. These were world class musicians and singers. Being alongside them was great; you jam until the early hours with these really amazing people; I went there two or three times and really learned a lot. LJN: And you began performing then? EM: I started to meet musicians hanging out at gigs. I met a local sax player in Brighton who was great and I sat in on a few of his gigs and even played the keyboards, god help me. People were very complimentary about my singing so I thought I’d get my own band together — hubris, I know — and I found myself setting up gigs. I don’t quite know how it happened. It just evolved and I started getting gigs. LJN: Which led to you recording your first CD. EM: I wanted to make a mark in the sand, and acknowledge my debt to my brother Ant, who died in 2008. So I made an album in 2011 with Liane and James MacMillan supporting me. I’d met Liane and done some workshops with her by then. And Guy Barker came and played on it, and that was a big turning point. When he came down to Hastings to play with me we did this song that I knew would be very emotional — Anthony had sung You Don’t Know What Love Is at the golden wedding do, and I asked Guy to come down to play on that song. We just looked at each other and we both cried. I think you can hear it on that track. Guy keeps a picture of Ant in his office, watching over him. That CD was called Still on My Feet and it’s dedicated to Ant. A key song on it is Joni Mitchell’s A Case of You. That was one of our family songs. Ant used to play it on the piano and we’d all stand around and sing at the top of our voices. The CD’s title is sort of a paraphrase of a line from that song. 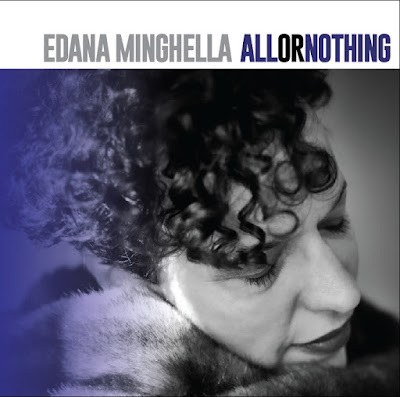 LJN: Which brings us to your new CD, All or Nothing — Songs From the Billie Holiday Songbook. EM: Yes, this is the follow up album. 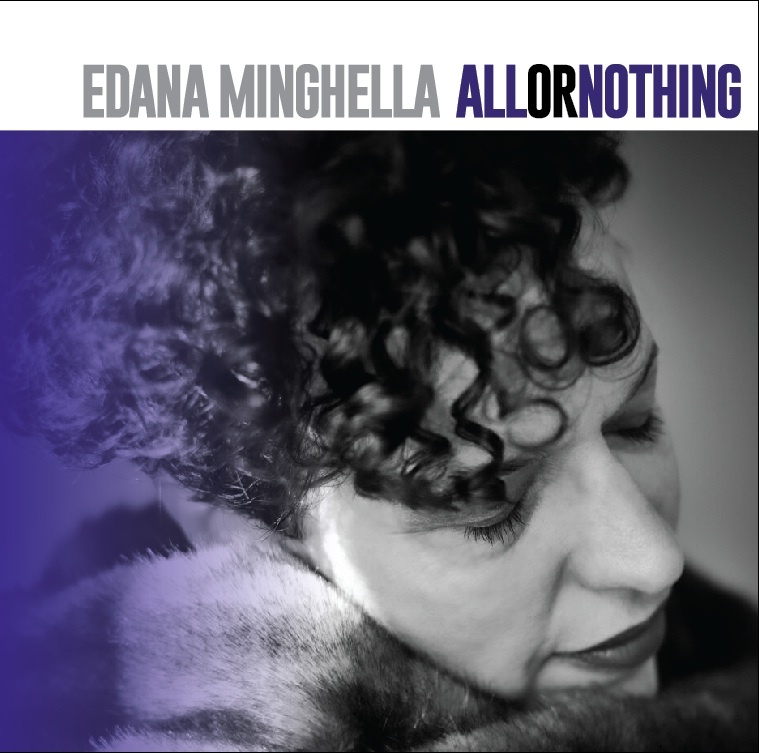 It’s hard to get the money together to do a CD, but when it was Billie Holiday’s centenary I was inspired to do some gigs around her music, but not just her music. I wanted to do something around her and her story. I wanted to learn more about her, and I had great fun and I learned a lot. And people really loved it and these gigs sold out. I thought, I’m loving singing this music and people seem to like it, so I took the chance of doing this CD. On it I’ve done some of the well known songs but I’ve also chosen some things that people don’t perform that often. Like Stormy Blues, which I’ve never heard anybody else perform. It’s a song Billie Holiday wrote herself. When I talk about it people always think I mean Stormy Monday. LJN: You’ve included Strange Fruit on the album. I say this with considerable trepidation, because I know it’s a sacred text, but I’ve never thought that much of that song. It’s very powerful, and it’s certainly a great and important message. But it’s just not a great song. EM: Well, it’s very interesting that you said that. It’s a song I have tricky feelings about. It’s an amazing poem, but I think it’s a black person’s song and I’m not a black person, so I didn’t do it at gigs and people would come up and ask for it, so I looked into the song, which was originally a poem by a Jewish schoolteacher called Abel Meeropol. So I thought I’d read it aloud, as a poem, in performance. Which took me back to my drama lessons. And I started reading it at gigs and people were incredibly affected by it, the readings… So when it came to the CD I wanted to include it but I didn’t want to sing it, so I told the band I’d read it and they should improvise — forget the original music, just improvise in D minor. The saddest key! And the result was an amazing free jazz improvisation. I think their music is spine tingling. It’s the last song on the album and it’s kind of proper. EM: So to go back to arrangements… That’s the sort of thing I mean when I say I arranged most of the songs. It’s a matter of doing things that aren’t quite what it says on the tin. Doing a song so you won’t have heard it like that before. The thing about Billie Holiday, I think the reason I absolutely connect with her — this will be a bit controversial — is that she didn’t have a huge range, didn’t do a massive lot of virtuoso scatting — but she really moved you. And that’s what I want to do. To me it’s all about moving people and being moved by the music myself.